Arrive in Sapa, visitors not only see the majestic beauty. Such as Ham Rong Mountain, Fansipan peak, the romantic beauty of the Love waterfall, Cat Cat. But also explore the Y Linh Ho Sapa. Y Linh Ho is known by many tourists because of wild beauty, poetic. The village is covered by the Hoang Lien Son mountain range, in addition to the mountain, there are streams, terraced fields, corn fields ... Inside the village are made of bamboo, rudimentary, simple. From Sapa town to the Y Linh Ho village, tourists follow the direction of Lao Chai village, Lao Chai village about 3km at the foot of the slope. Where you will see the glossy landscape of Y Linh Ho. Especially the beautiful on the slope. mountains, surrounded by beautiful terraced fields have long been. Visitors to the tourist site in Sapa - Italy Linh Ho will be surprised by the beauty of this place. The atmosphere in the village is quiet, noisy, noisy as the tourist destination inside the town of Sapa. To the Y Linh Ho tourism is an opportunity for visitors to learn more about the daily lives of the Hmong - Dao people. Learn more about Y Linh Ho. Linh Ho village consists of small groups of people living dispersed on the slopes. Bamboo and bamboo houses were built by the Mong and Dao people near terraced fields, corn fields, and potato fields where they planted and lived. The name of Y Linh Ho also has a great significance. According to the elders in the village, the name Linh Linh was put in the name of the first man to set up the village, Mr. Li Xin. The story is that, in ancient times, the area around Y Linh Ho was inhabited by some Dao people, led by Mr. Ly Linh Ho, who opened the field. After a long period of living and construction, a new village of the Dao was formed, named it Linh Linh Ho. Sometime later, the Y Linh Ho moved away and the Mong people arrived in the village. But the name of Linh Linh Ho was named for the village, to commemorate the people who built the village today. The location of Y Linh Ho today is expanded more than the old. But still far from the main road. Therefore, tourists participating in tours Sapa to visit Y Linh Ho have to go through a long. It's far and vicious road to reach the village. Because the location is far from the main road so it is quite and peaceful. Linh Ho is one of the villages spreading over the hillside. At present, the village is divided into 2 hamlets, named "Linh Linh 1 hamlet" and "Linh Linh 2 hamlet". Each hamlet has about 100 H'ong and Dao households. Visitors to the village of Y Linh Ho will be looking at large terraced fields and maize fields. Which are very well looked after by the people living here mainly by farming. 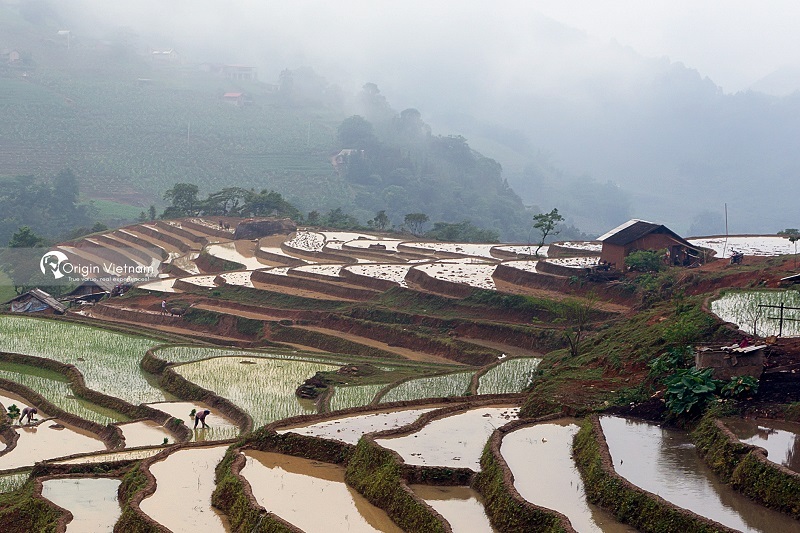 In the rainy season, the village receives hundreds of visitors to visit and photograph rice fields. The wild beauty of the natural landscape in Y Linh Ho not only have terraced fields. But also Hoang Lien Son mountain, Muong Hoa stream gentle beautiful. Muong Hoa stream flowing through Y Linh Ho bring new vitality to this place. Streams filled with water into the terraced fields, bringing shrimp and fish to the village ... the presence of Muong Hoa stream brings beauty and charm to the Y Linh Ho version, turning the map into a novel and attractive tourism. visitors to visit. 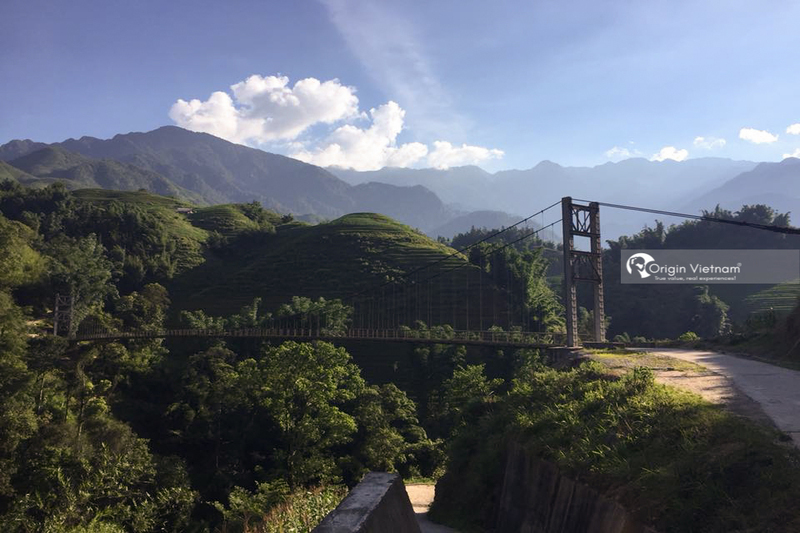 In Sapa 3-day tour to visit Y Linh Ho village, tourists should also visit the beautiful tourist spots in Sapa near the village. Such as Silver Falls, O Quy Ho Pass, Suoi Vang Tourist Area. In addition, visitors can also learn more about the ethnic culture when visiting Lao Chai - Ta Van ... a lot and a lot of beautiful and attractive tourist sites are waiting for you. Discovering the wild beauty of Y Linh Ho in Sapa is one of the meaningful trip. Visitors should not miss when coming to Sapa. 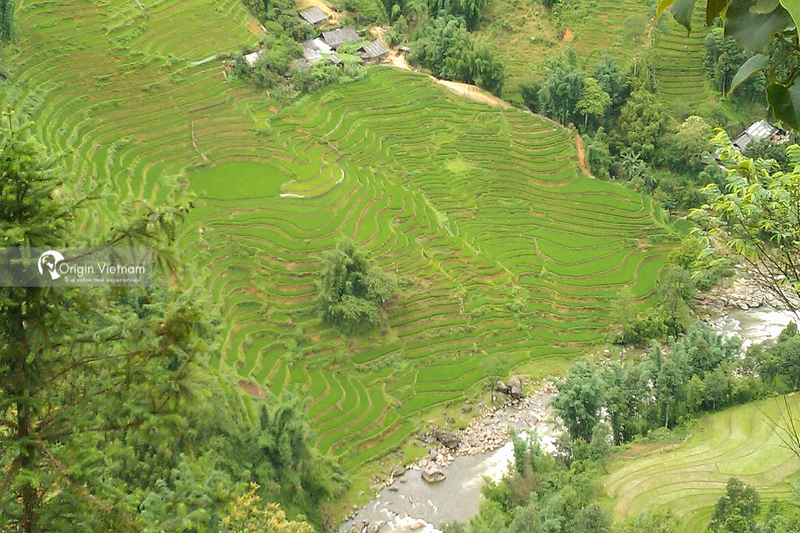 Have a visit to Y Linh Ho, admire terraced fields and streams Muong Hoa beautiful to learn more about the beauty of Sapa. We wish to have a wonderful trip to Sapa.